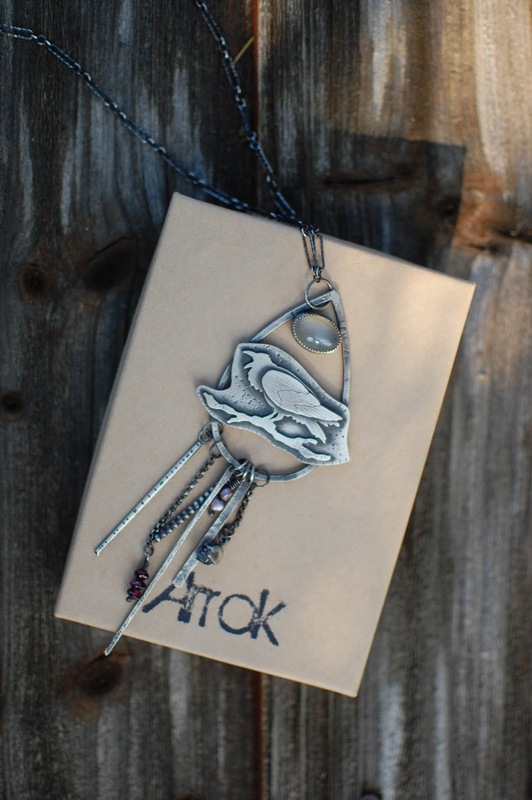 I featured Arrok Metal Studio on my blog before when I purchased a scrimshaw sparrow piece, here. 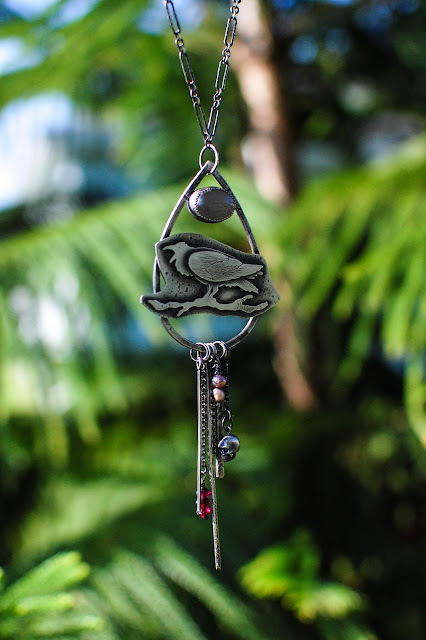 Nicole's style of silversmithing just keeps reeling me back, hence, my newest raven necklace. I love all the details. 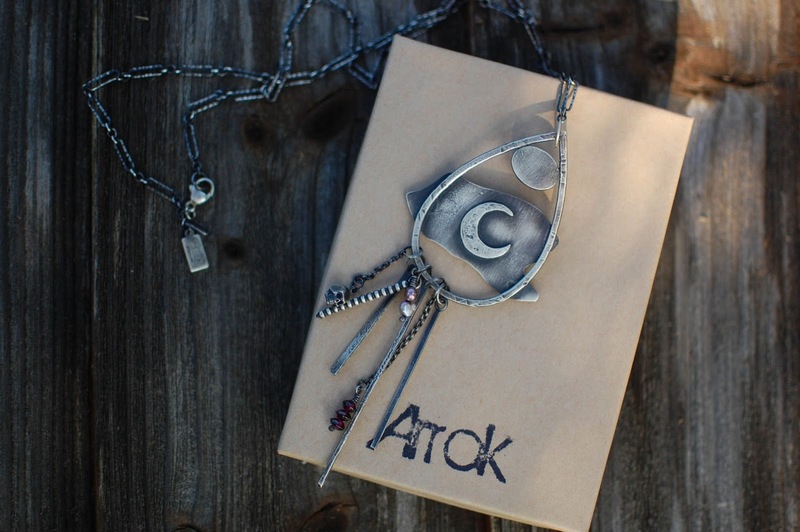 The back has this gorgeously rustic crescent moon, the clasp has a maker tag, the chain is unique and the bits and bobs and dangles all woo me. And that raven. Look at him. Cawing under a peach moonstone. Telling the secrets of the trees, familiar of Odin, harbinger of omens and magic and companion to the moon. The charms run the gamut of stamped, etched and beaded with freshwater pearls and garnets and a wee skull thrown into the lot as well. 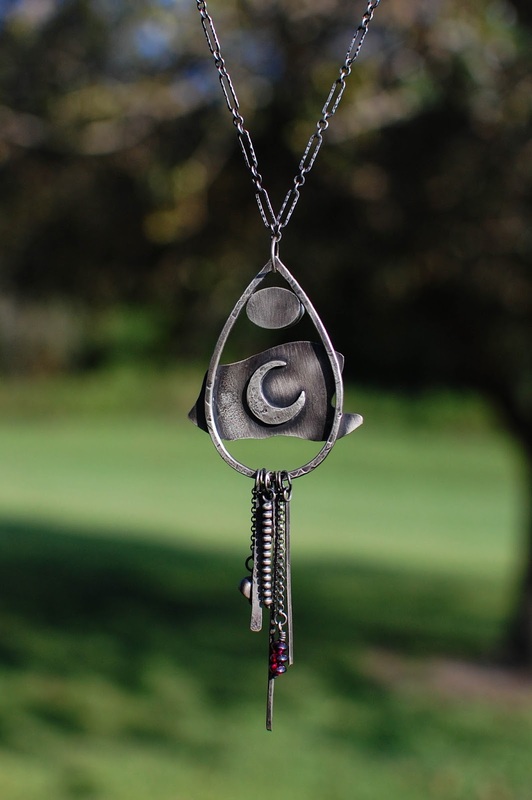 It is a long chain and hangs right between my heart and solar plexus and is a very nice sized pendant, a bit larger than a silver dollar. I look forward to wearing this often throughout my life. Nicole will be stocking some more scrimshaw pieces. Not sure how I am going to resist but I will try. Maybe. 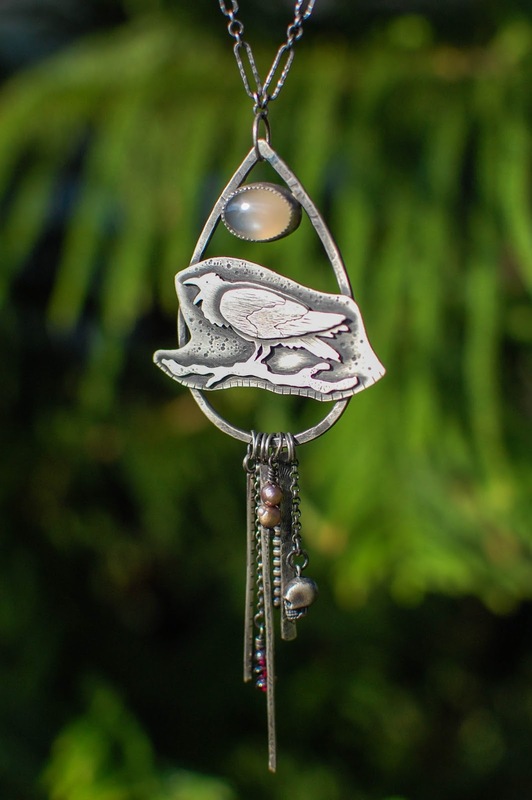 Are you partial to particular birds or animals in your jewelry? What stones do you enjoy gazing at? Thanks sister!! I am honestly head over heels for it. In fact, I am sporting him today. I feel like he needs a name. I should consult my Poe book.